Join us to celebrate the work of both adults and high-school students in a showcase of work from our various specialist studios including printmaking, sculpture, ceramics, drawing, painting and photo/media. Don’t miss this wonderful retrospective of Lawren Harris’ work. Leading you through his industrial beginnings all the way until his spiritual abstractions, this comprehensive show is not to be missed. If you are lucky enough to pick up an AGO pass at your local library, tickets are only $10/person for this special exhibit. 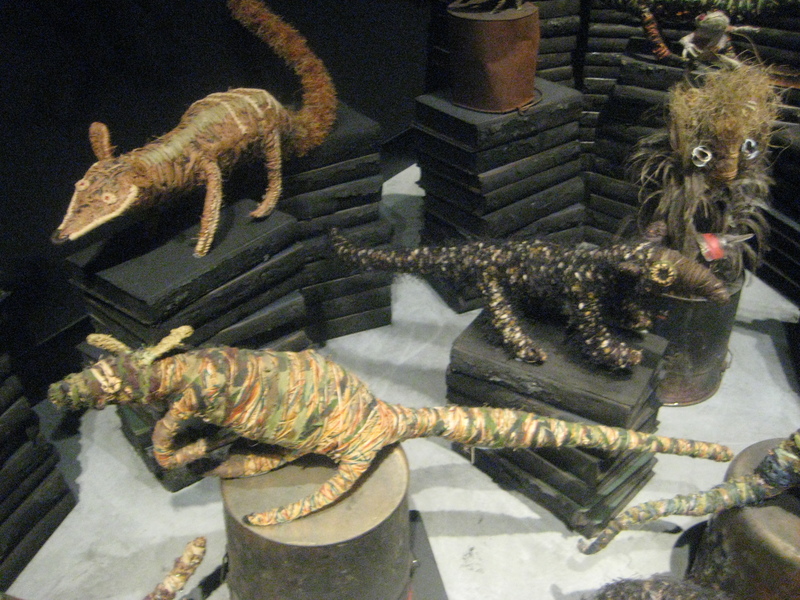 Also, I found $8 tickets to the Gardiner Museum of Ceramics through Groupon. Check it out!!! I got into a conversation last weekend with an artist from Washington, DC, at the Artist Project in Toronto. You’ve got to respect a woman who will make that kind of drive to spend the weekend on her feet while five and a half months pregnant. For Amy Lin’s first visit to the fair, and to Toronto, she exhibited an evolution of work relying on the creation of inherence in both execution and ideation. 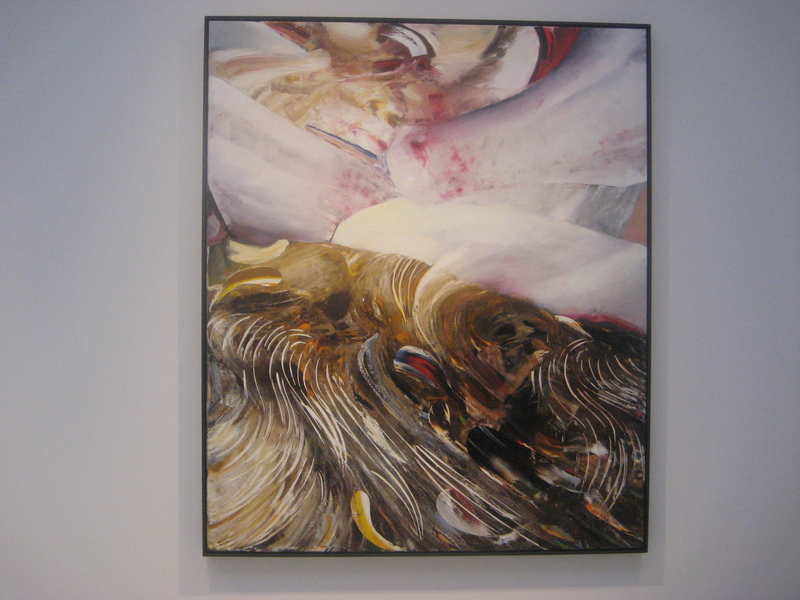 Her exclusively manual production is the genesis of her conceptual interpretation of her work. She equates the subtle differences in each shape to the unique qualities possessed by individuals. She describes her process of working as “an organically evolving stream of consciousness.” It’s easy to picture her engaged in a meditative reverie of artistic reflection and soothing production. Lin’s ruminations motivated her to begin working in layers. Overlapping panels conceal microcosmic excogitations unmasked through carefully cut openings. The tiny apertures birth juxtapositions of shape and colour, or as Lin describes them, “portals into the worlds of specific people.” As her series unfolds, spontaneity, humanity and individuation are further accented by precision-cut curled top layers at times reminiscent of European folk paper-cutting, which choreograph an ever-changing shadow-play. Lin’s esoteric descriptions of her own work bely the decorative beauty innately attractive to most viewers.That said, it will be interesting to see how her reflections on the nature of being alter her work when a baby transforms her own existence. One wonders how her work will evolve when she is forced to examine her own world through the lens of heritable traits manifest in flesh, rather than paper. For more of Lin’s work check out her website. 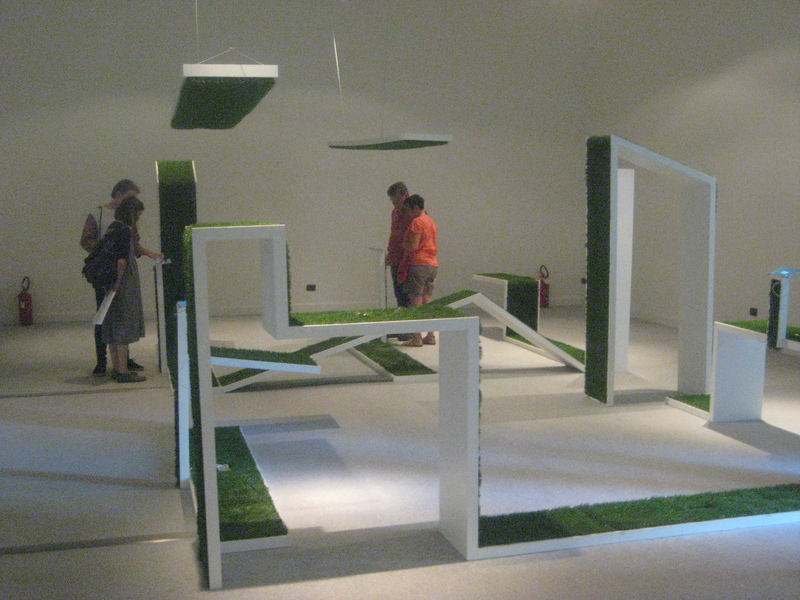 As the Venice Biennale inches to a close in November, I finish my coverage of the national pavilions in Giardini. Despite my initial intention to provide an overarching view of this massive exhibit, I will draw the the line here and refrain from coverage of Arsenale- I’m starting to resent the breadth of this topic and really itching to get back into Toronto to meet and greet with some local artists! Just keep in mind when planning your own visit to Italy in the future the sheer volume of art on display during this massive exhibition. So here goes, as promised, let’s begin with Romania. 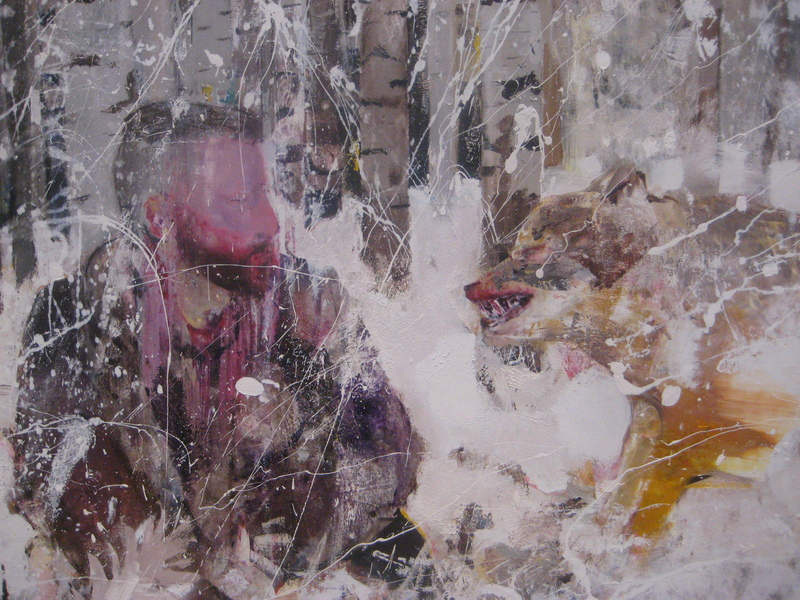 Represented by painter Adrian Ghenie, his exhibition of works, entitled “Darwin’s Room,” was a kind of sleeper hit for me at the Biennale. This traditional display of paintings wasn’t an exhibition I had read about before attending. In it, Ghenie offers us an alternative interpretation of Darwin’s now unquestioned theories. His paintings feature rich natural scenes, a self-portrait of himself in the role of Darwin, diversely represented mythologies and glimpses from the futures arising from his fictional trajectories mixing science and apocrypha. The symbolic subtext of this show is not its draw however. The work is exquisite. Ghenie wanders between the representational and the abstract through his alternating use of apparently spontaneous dry brushing alongside thickly spread colour mixtures segregated into amorphous shapes. Watch a beautiful video of the exhibition here. 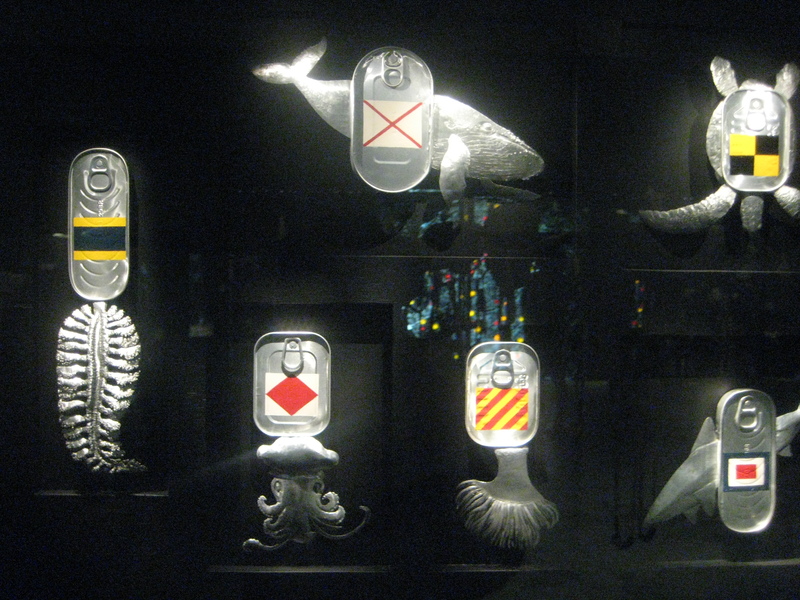 Maria Padimitriou’s installation, “Why look at animals? 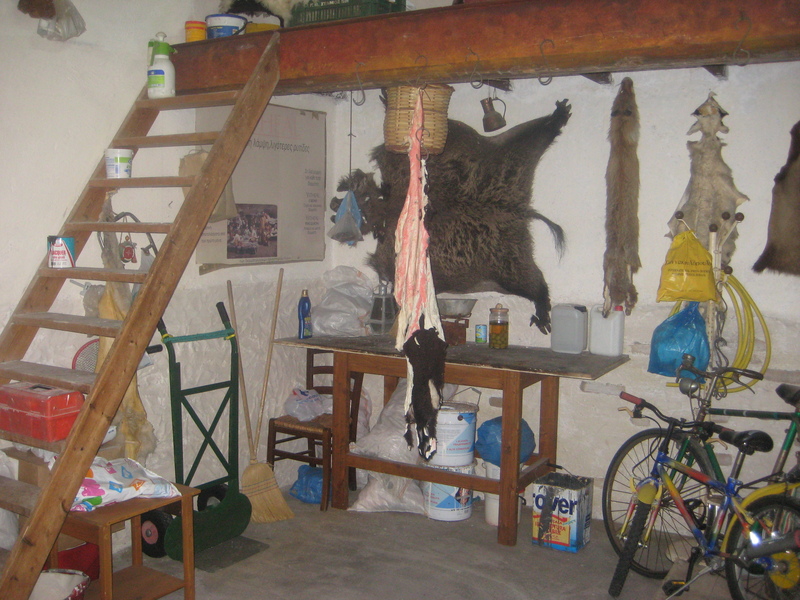 AGRIMIKA, features a Greek animal hide shop transferred directly from Volos. The AGRIMIKA are animals that coexist with humans but refuse domestication. In this transference, Patimitriou encourages us to ponder all the varied aspects of civilization which separate us from our animal roots. A video presented off to the side of the exhibition shows a sentimental monologue by the owner of the shop. His reflections on his life, especially in regards to his search for meaning and insecurities about actualization, present a sentimental and provocative underpinning with which to view the work. 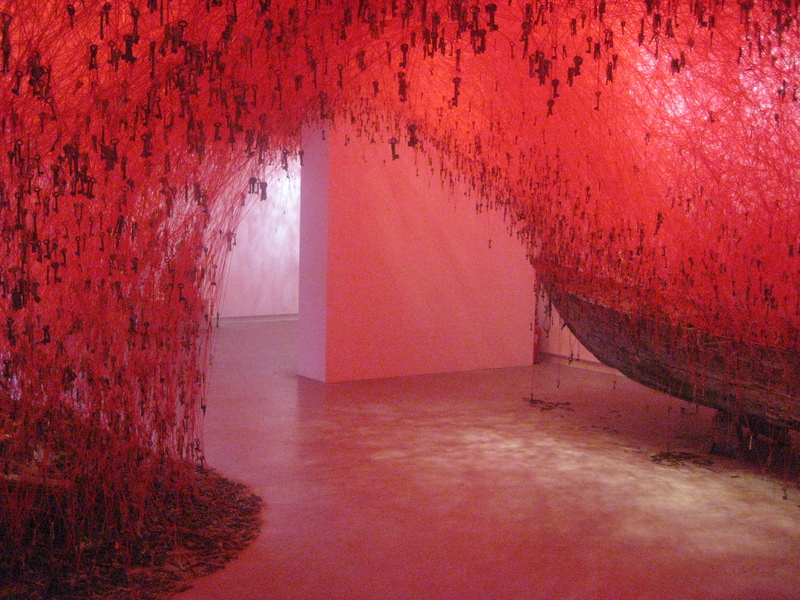 Chiharu Shiota’s installation, “The Key in the Hand,” has deservedly received a large amount of critical acclaim. Visually stunning and poignant, without being difficult to interpret, make this installation extraordinarily powerful and accessible for all viewers. 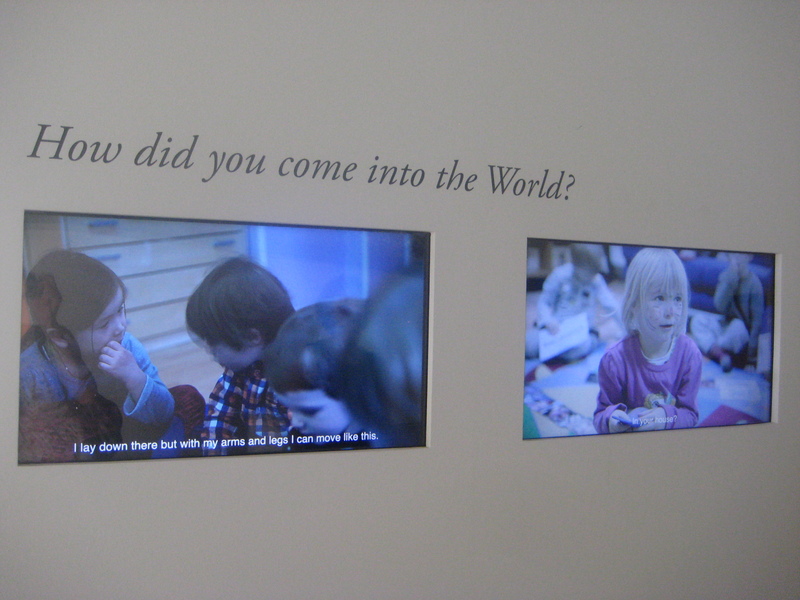 Outside this portion of the installation is a photograph of a child’s hands holding a set of keys, as well as a series of videos featuring very young children recounting their memories of childbirth. 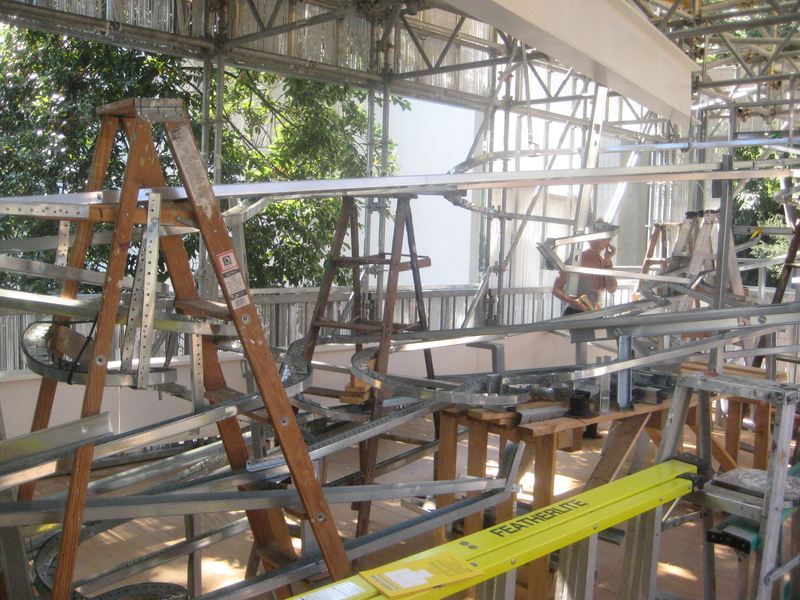 Each portion of the installation is strong enough to stand alone. Together, they contextualize our concept of human memory as something shifting through our lives- like a boat- or easily lost or forgotten, such as the key in the hand. 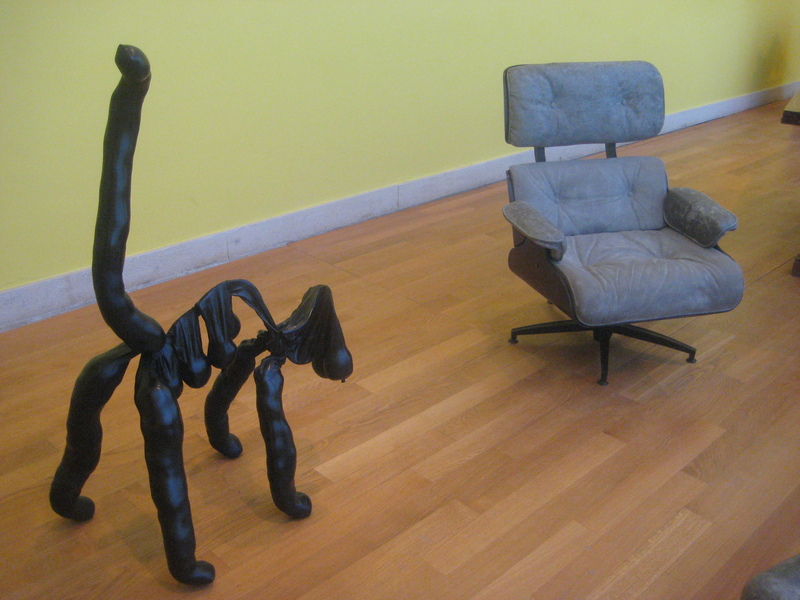 The Brits chose to showcase one of their most infamous “YBA’s” ,(Young British Artists), Sarah Lucas. 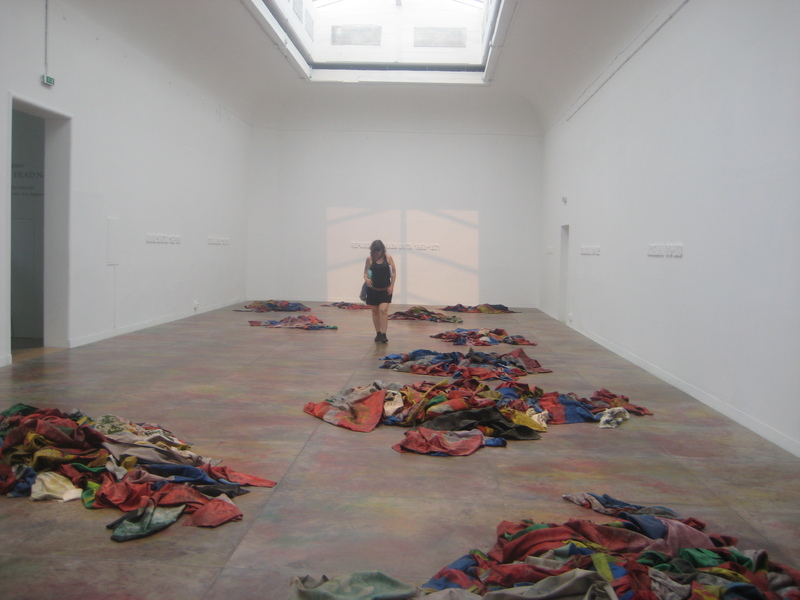 Criticism for her exhibition of sculptures, “I Scream Daddio” has focused on the choice to highlight work from a movement which has shown very little change since the artists involved in it were actually young. Admittedly, I enjoyed reveling in the spirit of the 90’s without wearing the ugly uniform now adopted by a new generation of youth. It’s also refreshing that at least on their home town turf, the YBA’s allure didn’t fade with their emergent status. I do believe Canadians could benefit from learning this lesson when supporting our own mid-career artists. 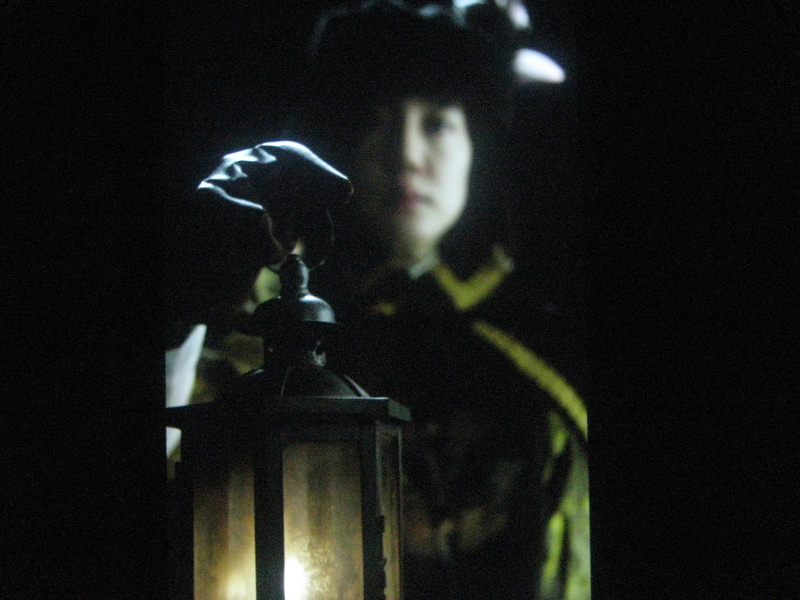 “The ways of Folding Space and Flying” was created by the artistic duo Mood Kyungwon and Jeon Joohho. The project consists of a series of large scale projections featuring a young woman in a sort of virtual reality laboratory. This young heroine, clad in futuristic white garb and white make-up, enters computer simulations that transport her into natural surroundings of the past. Her isolation gives one the feeling that she is completely alone in the future, experimenting with these various realities to make sense of her existence, or even just to alleviate the boredom of her sterile surroundings. 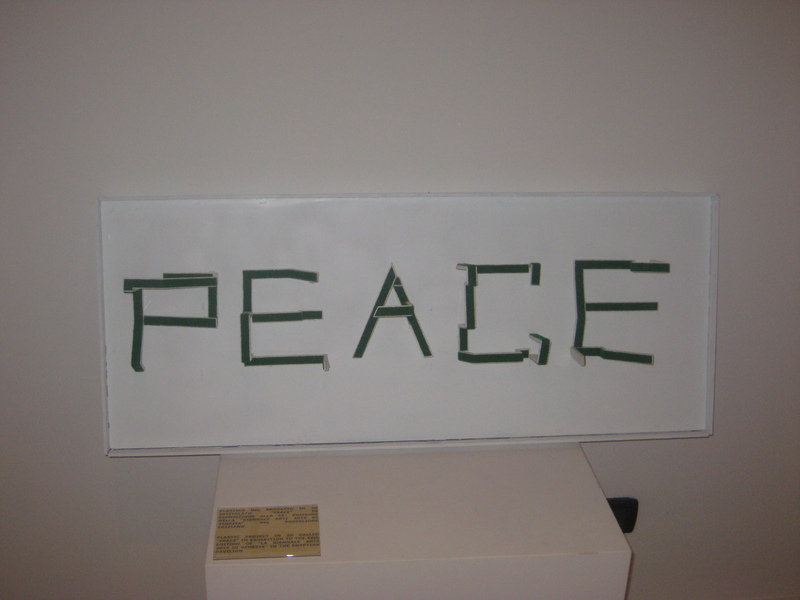 The title of the project is inspired two words originating in the Taoist practice. Chukjibeop is a hypothetical method of contracting physical distance. Bihaengsul explains the power to levitate, fly and travel across time and space. Through their fictional projections, the artists reflect on our absurd human desires to surpass the physical states which bind us. Celeste Boursier-Mougenot’s installation, “revolutions,” offered the weary Biennale visitor a place to rest and reflect. 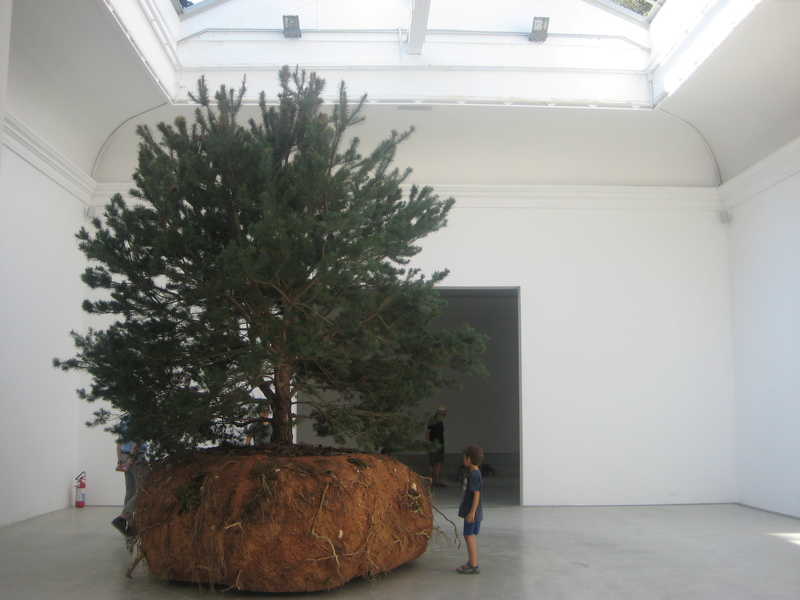 A huge Scotch Pine moved slowly and subtly inside the pavillion, while two more of these wandering giants were creeping around outside on the gravel in front of the building. Spanning a semi-circle within the pavillion arranged specifically for viewing were “les marches” (the steps). 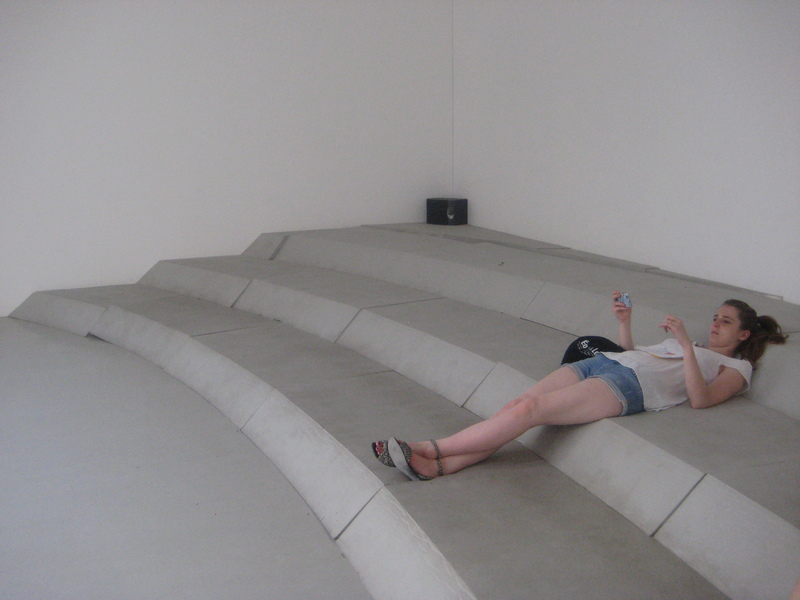 Its not apparent that these are anything but concrete steps arranged for viewing the exhibition until one sits on them, and realizes that they are a kind of soft foam cut ergonomically to mold to the body for viewing. 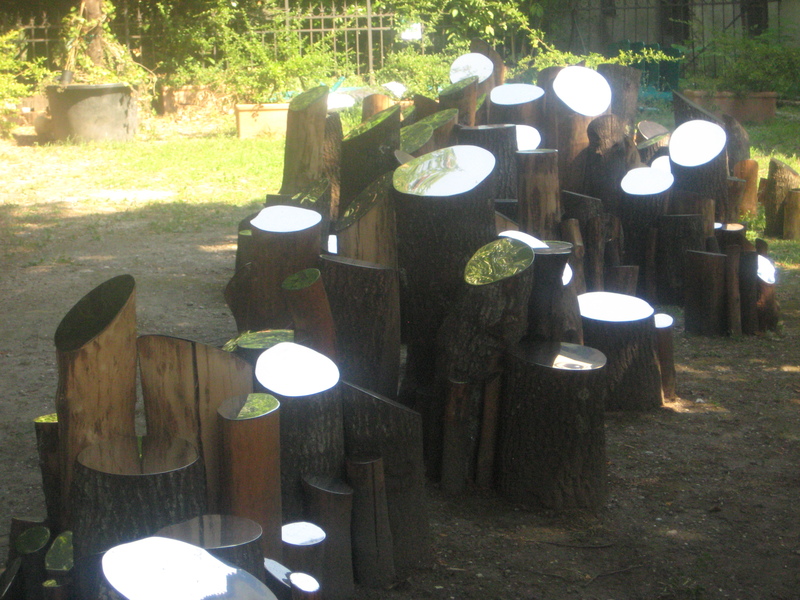 By challenging simple expectations- inside vs. outside; hard vs. soft- Mougenot primes the viewer for deeper contemplation of the transmutations forced upon the trees within the installation, so that we can reflect upon all aspects of our perception. 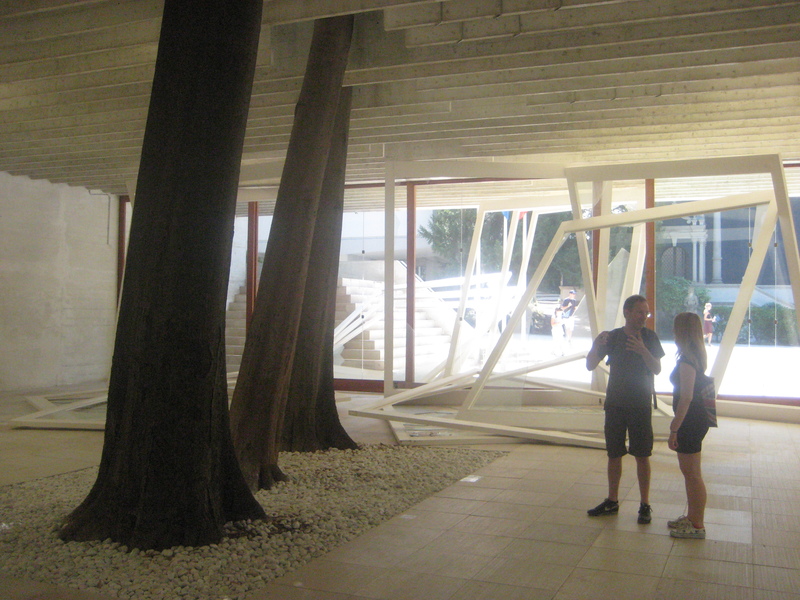 Norwegian artist Camille Norment’s three part installation for the Nordic Countries pavillion is an attempt to create a multi-sensory exploration of a place “torn between poetry and catastrophe.” Visually, the pavilion represents a kind of disaster. 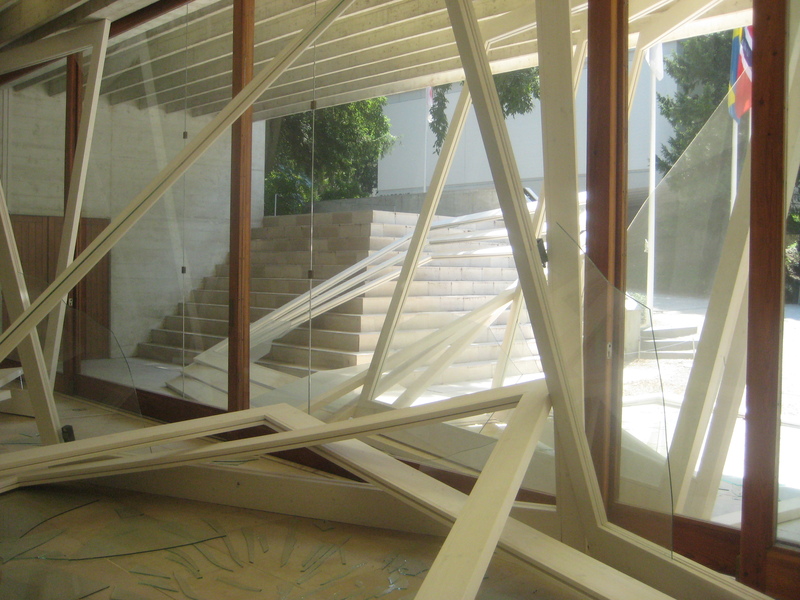 Overlapping beams, layers of glass- shattered and intact, transport the viewer into a sterile accident. This is what happens when Elsa goes drinking. The artist brings the element of sound into the installation through a strange symphonic soundtrack created by female voices and the glass armonica– an 18th century musical instrument using glass and water. This legendary instrument was banned due to fears that it would induce states of ecstasy and sexual arousal in women. It was feared that it had the power to cure and also to kill. 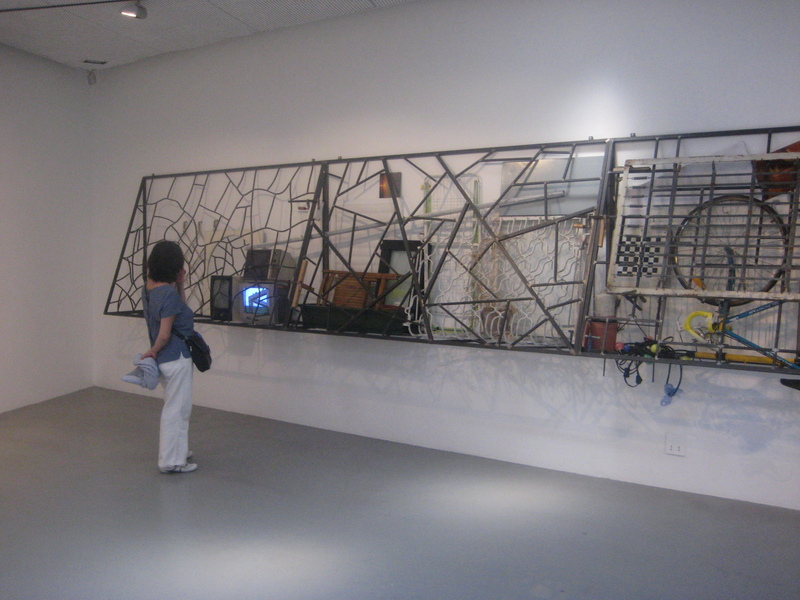 Fiona Hall’s installation, “Wrong Way Time,” pieces together hundreds of disparate elements to create a unified commentary on global politics, world finances and the environment. The space within the pavilion, its walls painted a severe black, is reminiscent of a kind of goth museum. Within each series, the artist presents macabre yet beautiful cautionary visions of an imagined, yet still remarkably accurate, history by combining western detritus with archetypes from non-western traditions. Years ago, before being moved to Prague, Alphonse Mucha’s “Slav Epic” was on display in a small broken down monastery in the town of Moravský Krumlov, Moravia. I arrived there by train from the dismal Czech city of Brno. It’s a travel memory I relish. As an educated fan of Secessionist Art and Alphonse Mucha, seeing the body of work that truly separated this graphic arts legend into the world of fine art mastery was a goal I was proud of accomplishing- especially because the location was so completely isolated. For most casual observers, Mucha is still remembered for his cigarette ads and theatre posters. In “Apotheosis” Czech artist Jiri David pays tribute to Mucha’s greatest accomplishment and it’s historical significance as a documentary tribute to cultural group whose oppressions have oft been forgotten. 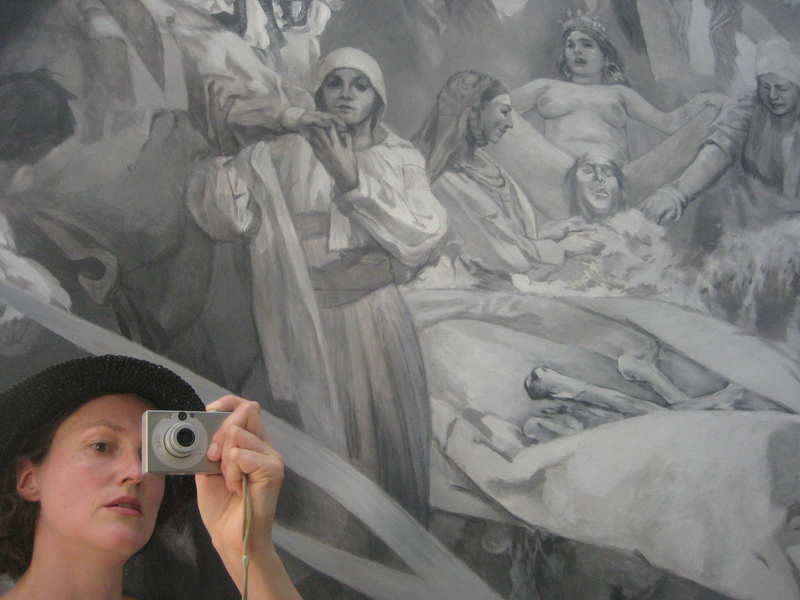 The installation presents a black and white reinterpretation of the painting “The Apotheosis of the Slavs: The Four Eras of the Slavs in Four Colours (1926)”, with an equal sized mirror in front of the painting. This mirror enables the viewer to view themselves, in colour, within the monochrome rendition as an invitation for self-reflection and pause to consider political and socio-cultural issues. At one point, as we wandered through the streets of Venice during the afterhours of the Biennale, I caught sight of someone paddling a canoe down the one of the canals. It might as well have been an apparition, but after visiting BGL’s simultaneously humorous and provocative exhibit, myself and my travel partner felt sure that this must be a lucky sighting of the artists at play in Venice. 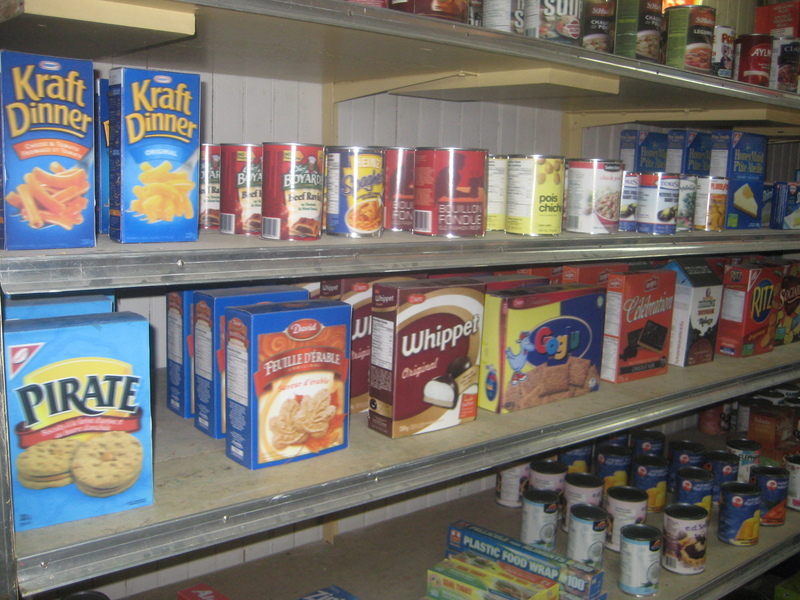 Within the scaffolded walls of the Canadian pavilion, entrance into BGL’s installation begins through a Quebec depanneur. Within this carefully curated collection of Canadian convenience, everything is as it should be, though not quite. Labels seem to have been photocopied with a vague lenticular effect. The installation progresses into the studio and living space of a fictional character. The sheer volume of “stuff,” constructed almost entirely out of recycled materials, brings our attention to the increasingly absurd preoccupation of recycling in a culture so possessed by consumption. The fanciful collection of imaginary clutter highlights the critical flaw in our most popular environmental strategy. Continuing upstairs, one passes a layered plexi-glass mosaic created by the interactive portion of the installation on the top floor. Upstairs, winding troughs carry pocket change through a grandiose manifestation of a marble-race apparatus. Within the painful Italian heat and the sometimes prosaic interpretations of this year’s Biennale theme “All the World’s Futures,” Canada’s art rebels playfully showed the world we can do more than just stand-up comedy. Stay tuned for more of what I do best, personal conversations with Canadian artists. Recently, I’ve started working as the print-making instructor and administrator at an amazing institution- the Art Centre at Central Technical School. (expect an update on my personal info page soon!) The Art Centre offers one of the few specialized art programs offered through the TDSB. In fact, it is the only visual arts specific program in the city. 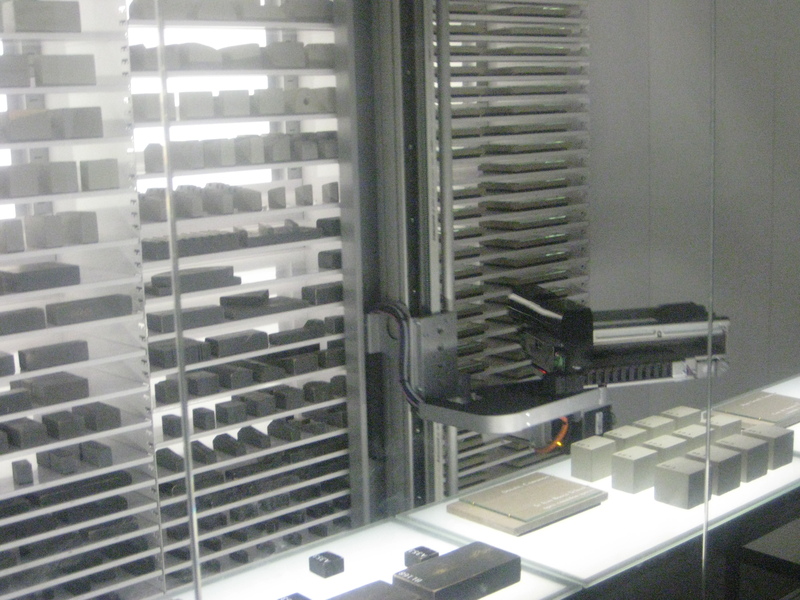 The print studio features two intaglio presses and two stone lithography presses. 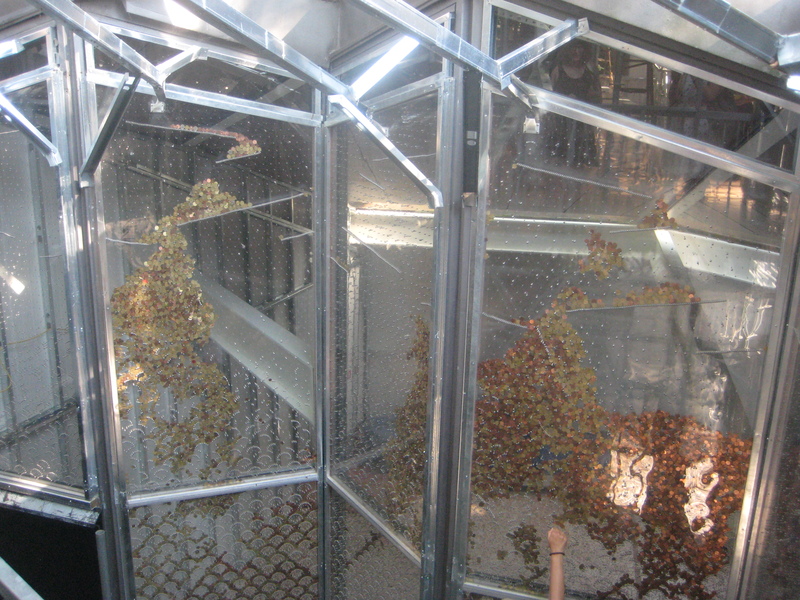 We are in the process of converting to environmentally friendly processes including ferric chloride baths to replace nitric acid; use of acrylic resists; and non-toxic ink (akua). Finally, one of the most unique features about this program is that it is open to adults as well as adolescents. Adult students attend from 8:45-11:25, Monday through Friday throughout the school yard for an materials based admission fee of only $600. 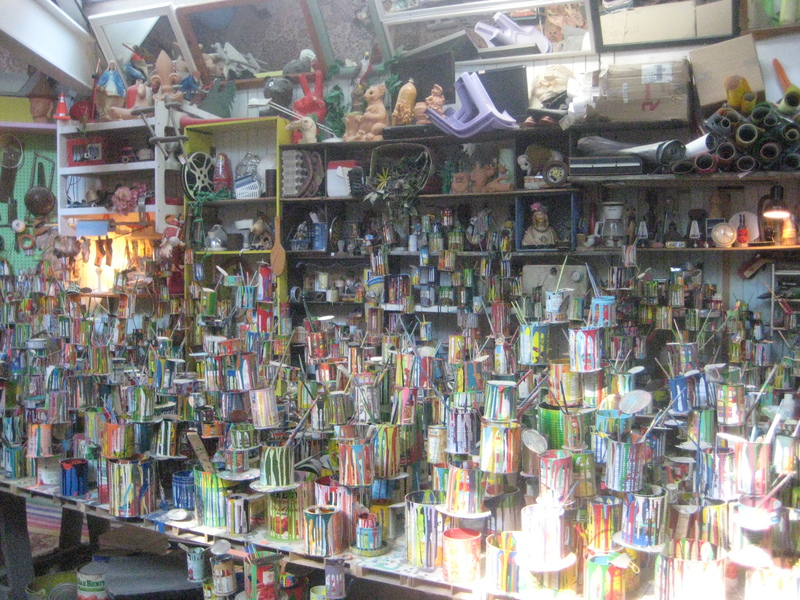 Students learn painting, drawing and mixed media in the many vaulted skylit studios. Limited spaces are still available in one of the one-year program options. This semester, in “package 2,” students are practicing ceramics and photography. Next semester will focus on printmaking and painting. You can find an admission application on our website or give me a call at work, 416-393-0060 x20100. We will be accepting new applications into October. Central Tech is located in the Annex neighbourhood of downtown Toronto. The ceramics program helps students to build basic skills such as hand-building and wheel-throwing before exploring ceramics as a conceptual art form. 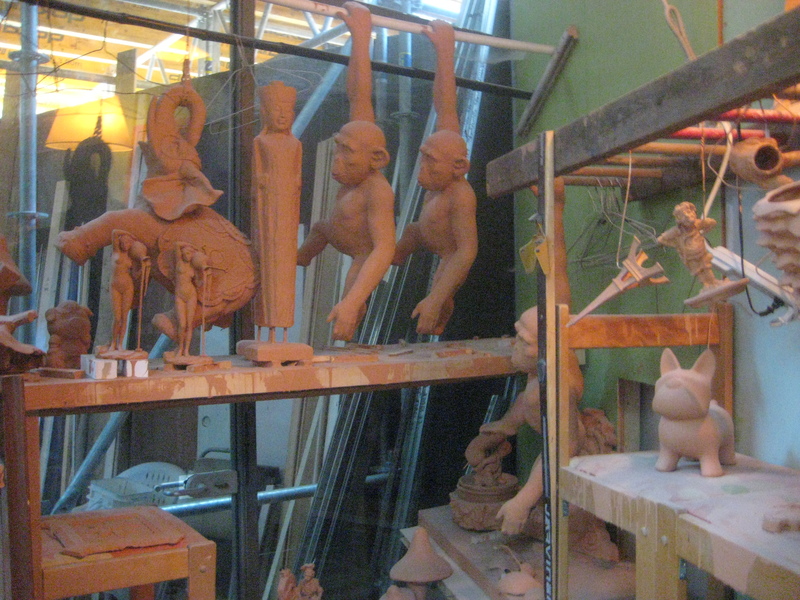 The ceramic studio features the largest gas-fired kiln at any school in Ontario as well as multiple wheels for throwing. Within this pavillion, artist Vincent Meessen and curator Katerina Gregos have presented a series of works by artists from all over the world which comment on the colonial past of the Biennale, the nation of Belgium, and post-colonialism in general. 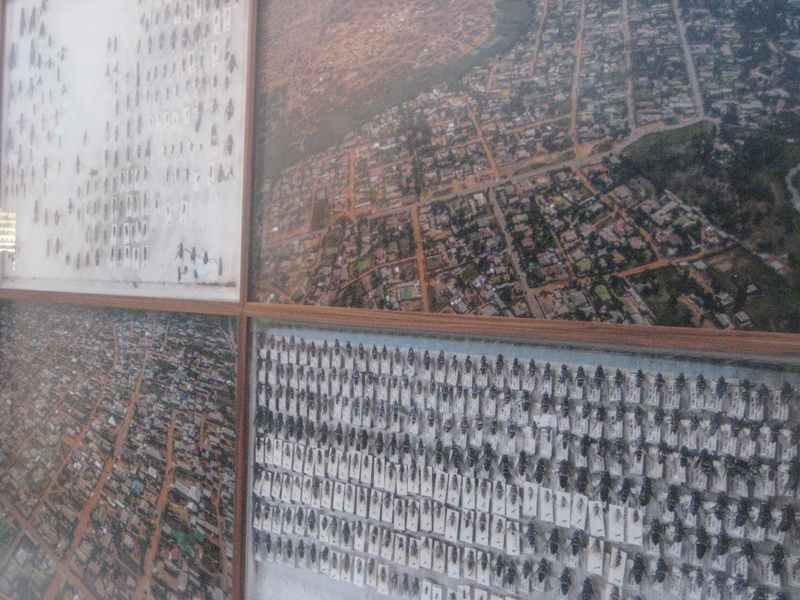 In the piece below, a group of Belgian artists from University of Ghent show a series of aerial photographs juxtaposed with preserved flies from the region. The piece illustrates a commentary explaining a 500 metre neutral zone oriented perpendicular to dominant wind patterns which separated blacks and whites at the time. This zone not only corresponds to the normal flight range of a malaria carrying mosquito, but it was also intended to prevent promiscuity between the two groups and protect whites from “the loud pastimes of the blacks, rendering each race clearly independent of each group.” The flies reference the 1929 Fly control campaign in which each worker was required to bring 50 flies in order to receive his daily ration. James Bekett’s negative space: A scenerio gernator for Clandestine building in Africa, features an automated storage and retrieval machine configured to arrange building blocks to create small models of the negative spaces created by various Modernist buildings in Africa. 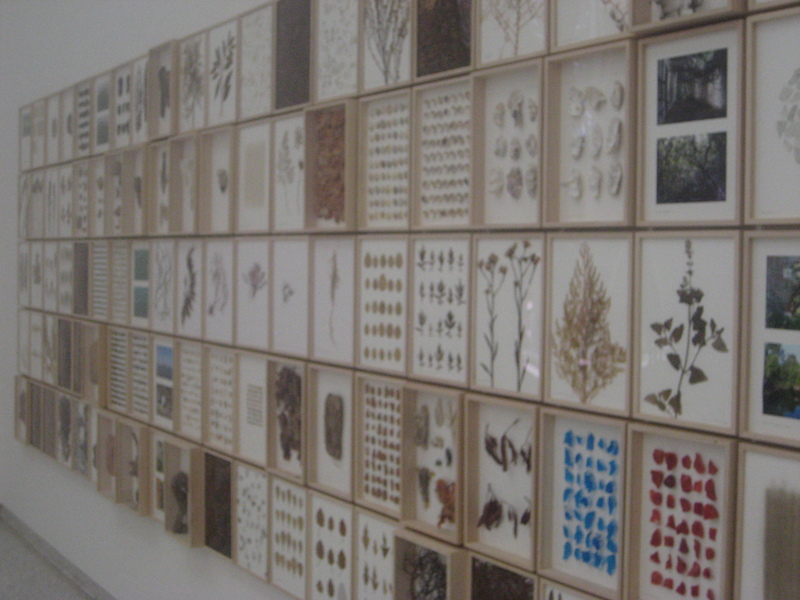 Herman de Vries “to be all ways to be” features a multisensory display of aspects of the natural world. 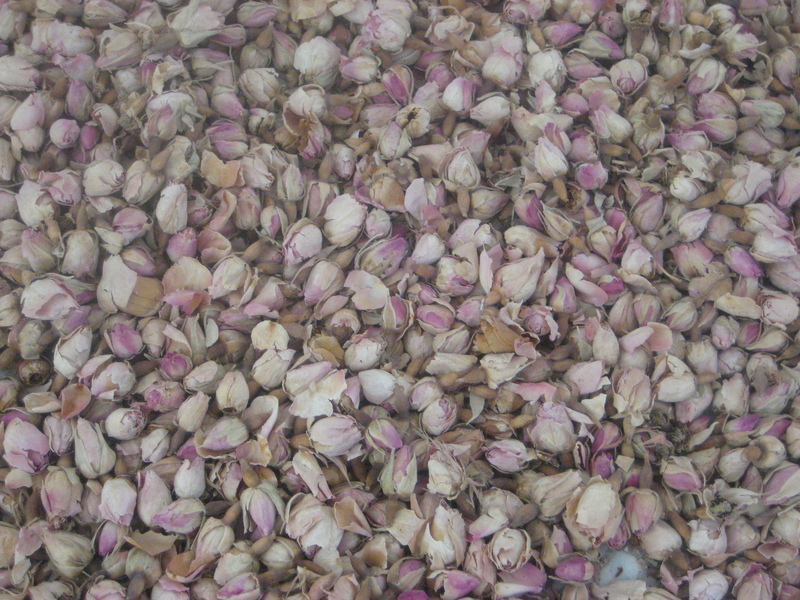 Entering the pavilion, you are pleasantly greeted by the redolence of rose petals which are arranged on the ground in a huge circle. 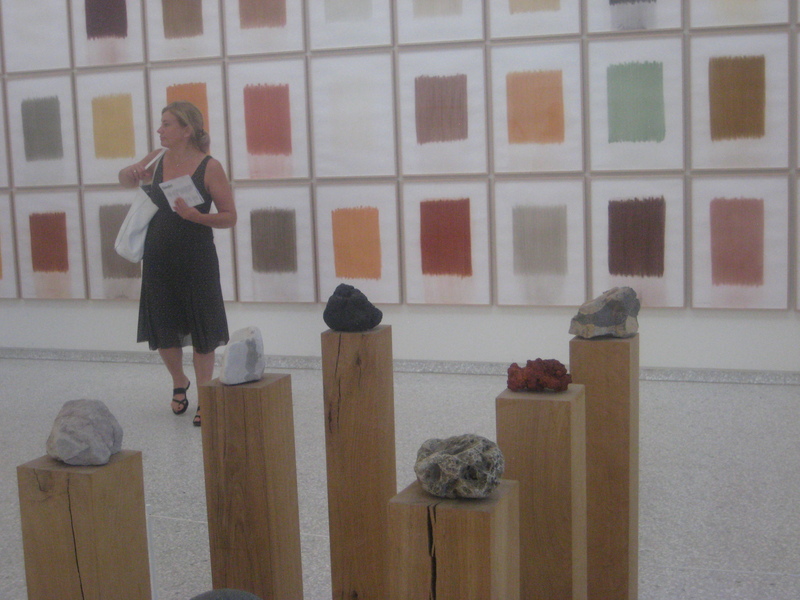 Soil and mineral pigment rubbings; pressed flora; mineral samples and other smaller specimens; photographs of the naked artist amidst his natural explorations and even a daily boat trip for viewers to visit an uninhabited island in the Venetian lagoon are ways de Vries pays testament to our sensory relationship with the world around us and our interpretation of our own existence. 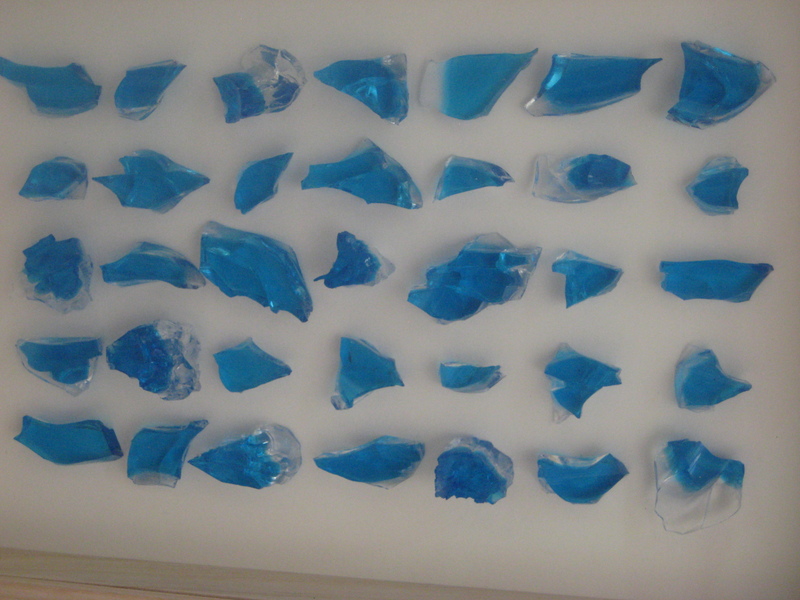 Tsibi Geva’s “Archeology of the Present,” is a site specific installation of the artist’s work over time. 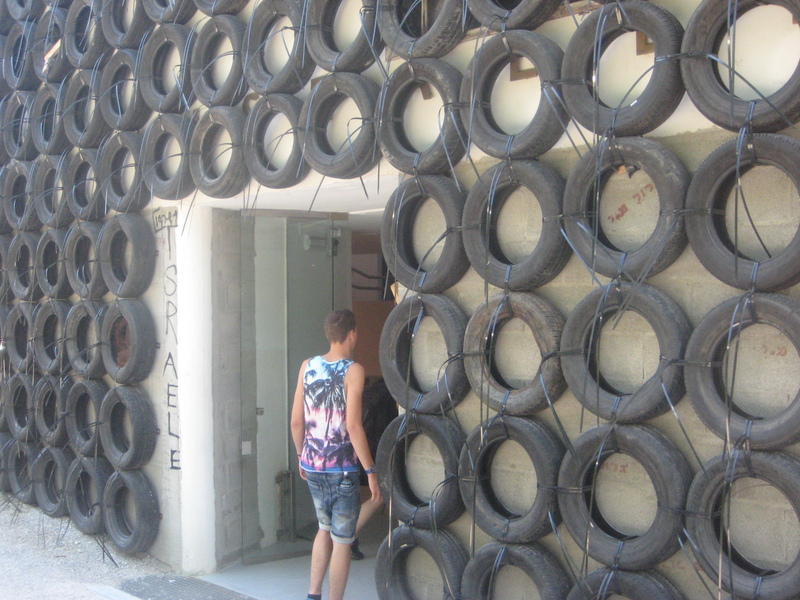 Using hundreds of old tires to cover the exterior of the building, Geva attempts to destabilize divisions such as high and low, abandoned and found. His collection of random construction debris and personal objects is apparently a self-reflective questioning of political and cultural existential anxiety. 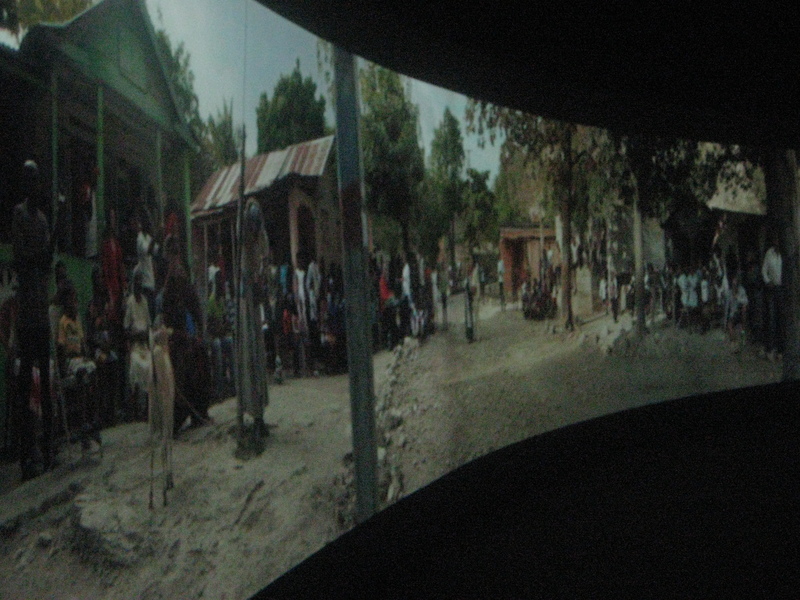 In this large photo installation “Halka/Haiti,” C.T. 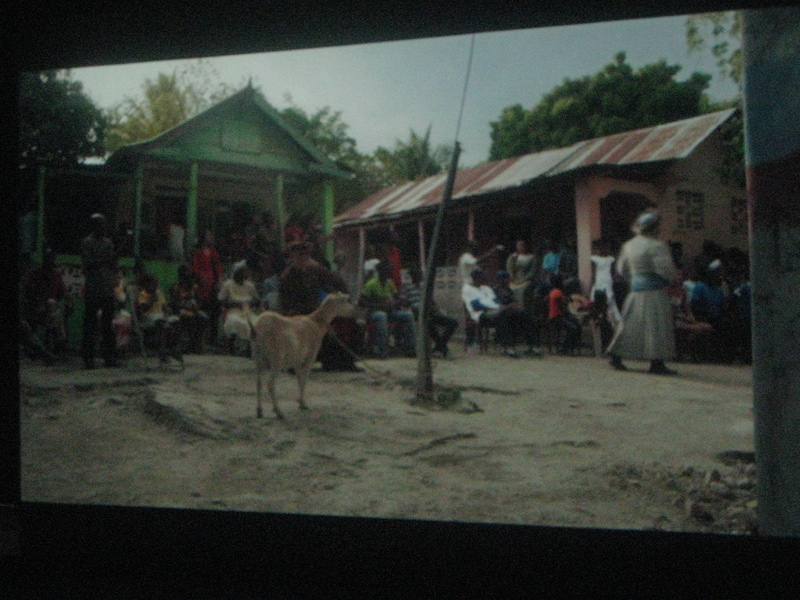 Jasper and Joahnna Malinowska show the video of their attempt to stage the opera Halka- considered the “Polish national opera,” in a small village in Haiti which is still inhabited by descendants of Polish soldiers who fought for Haitian independence two hundred years ago. The genre of opera is a poignant choice not only due to its strong roots in Italy, but its divisive occupancy in modern culture as an art-form which has traditionally separated the rich from the poor, and now effectively separates old from young, erudite from philistine, and colonialist from savage. As many of you already know, the Venice Biennale is one of the most prestigious events in the international visual art community. 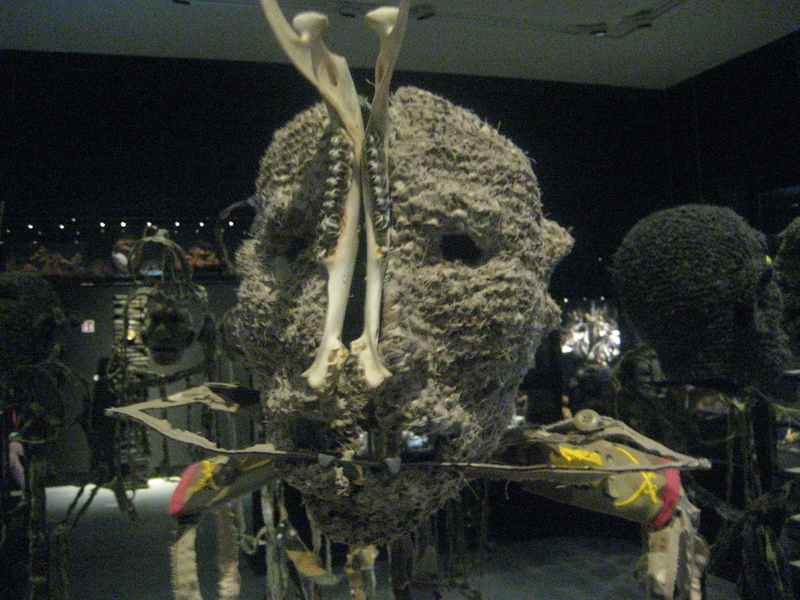 This exhibition runs from May to November every two years, and attracts around 370,000 visitors. It’s organized in two main locations- Giardini and Arsenale, which house national pavilions showcasing art from individual countries as well as curated exhibitions of world-class artists. As the event continues to grow, some countries exhibit throughout the city at alternate locations. For instance, this year, Jonas Mekas, the 93 year old Lithuanian born film director often touted as the “godfather of avant-garde cinema,” exhibited his work at the Burger King across the street from the central train station. 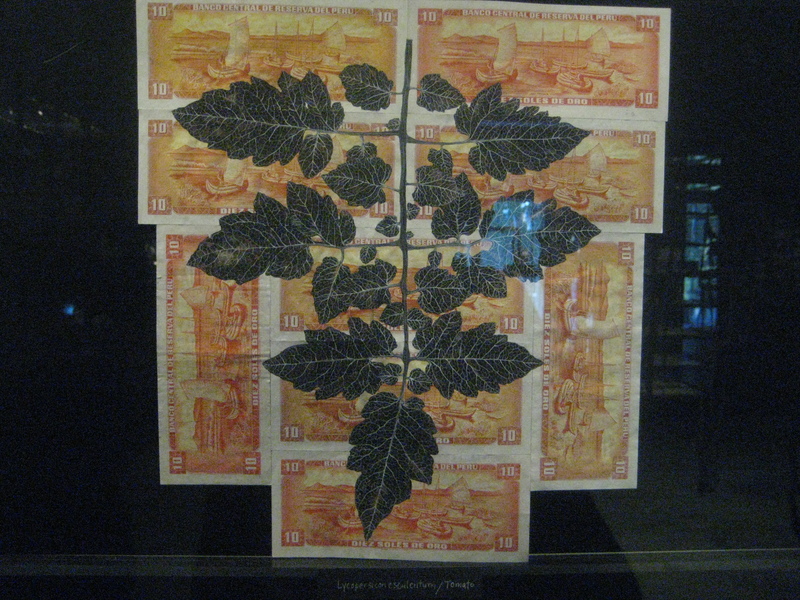 At this year’s Biennale there were nearly 80 exhibitions operating as a part of the Biennale, as well as other art exhibitions set up throughout the city by artists unable to be a formal part of the show, but with enough money or ingenuity to participate on their own accord. Established in 1895 by the mayor of Venice, the exhibition was originally inaugurated as a way to showcase Italian art. A permanent building was constructed in the Giardini for this original purpose, and it continues to house a curated exhibition showcasing a selection of artists from around the world. 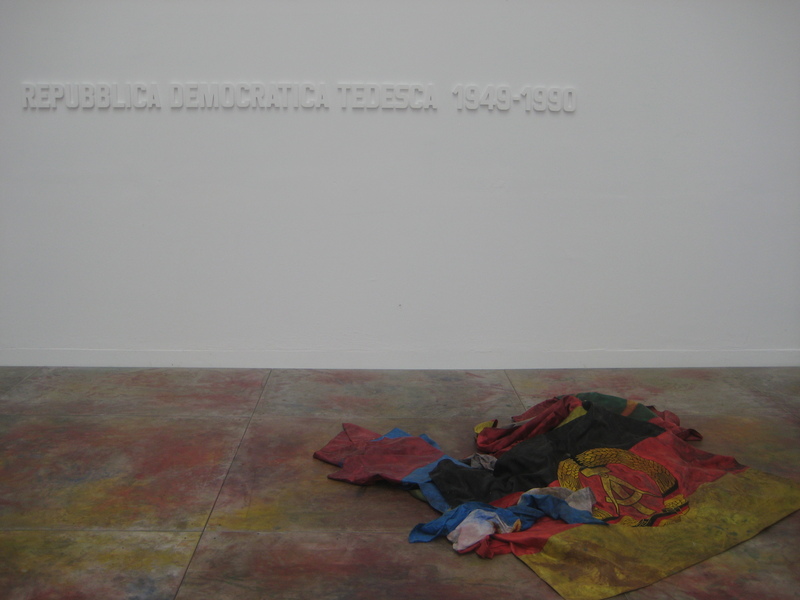 In the early 1900’s, the Biennale began its evolution into its current state. 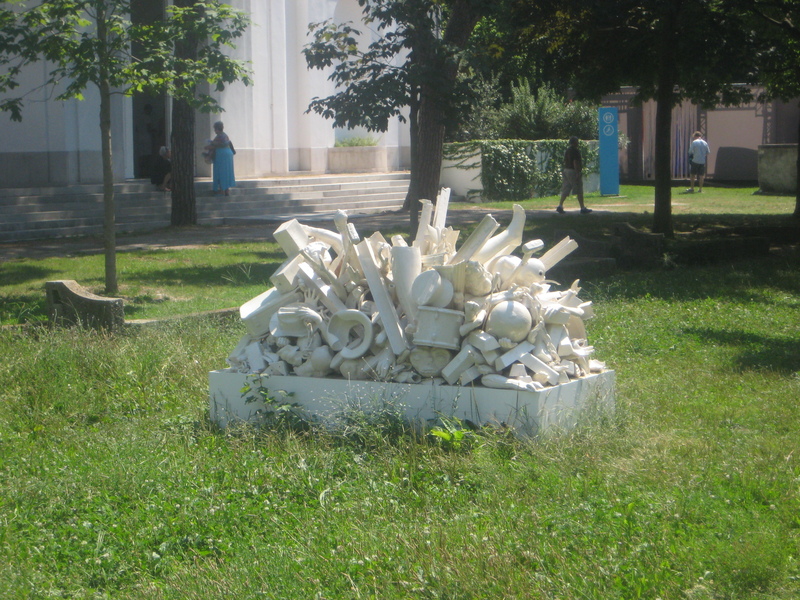 Various nations began building pavilions within the Giardini, and the aforementioned Pro Arte Pavilion served as an exhibition for work from a selection of international artists. In 1910 Klimt, Renoir and Courbet were all featured within the building. The permanence of these structures provides a living testament to the history of this event. At times the pavilions are as (or more) interesting as the work they showcase. The Hungarian pavilion is a beautiful example of Secessionist art and architecture. One of the first foreign pavilions, it was built in 1909, designed by architect and sculptor Géza Maróti, to embody Hungarian history and tradition. 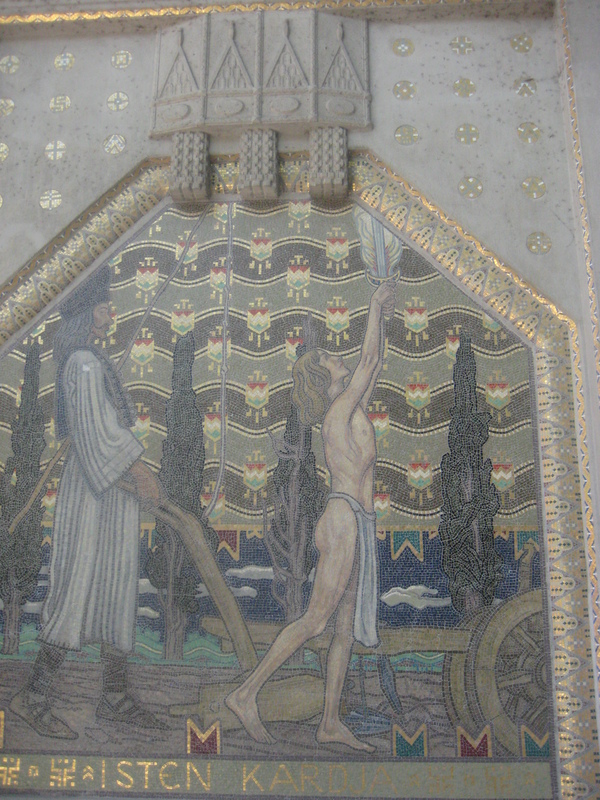 It is covered in mosaics by Miksa Roth which are based on drawings by A.Korosfoi. A creative masterpiece itself, the historical building provides viewers with inspiring point of departure which silently juxtaposes the past and present of a nation’s creative output. 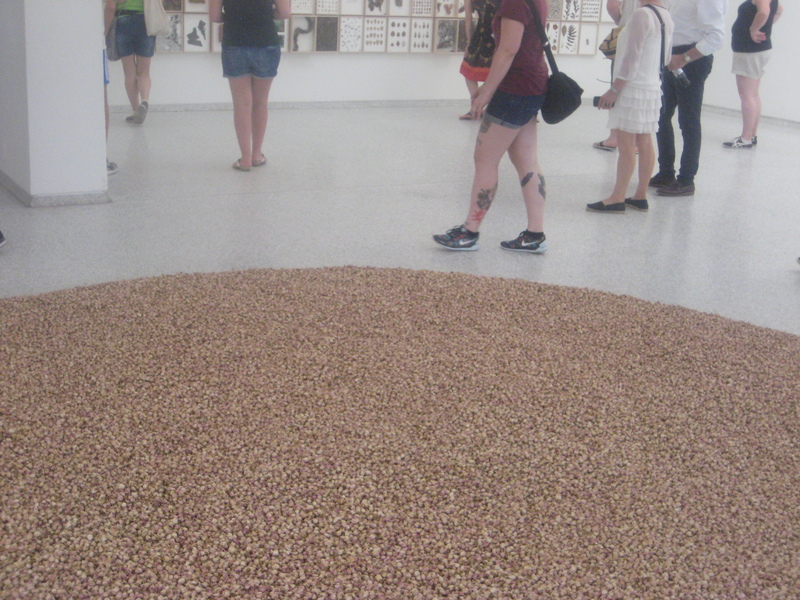 Within the Hungarian pavilion this year, Szilard Cseke’s show, “Sustainable Identities,” explores various aspects of identity within a series of installations. 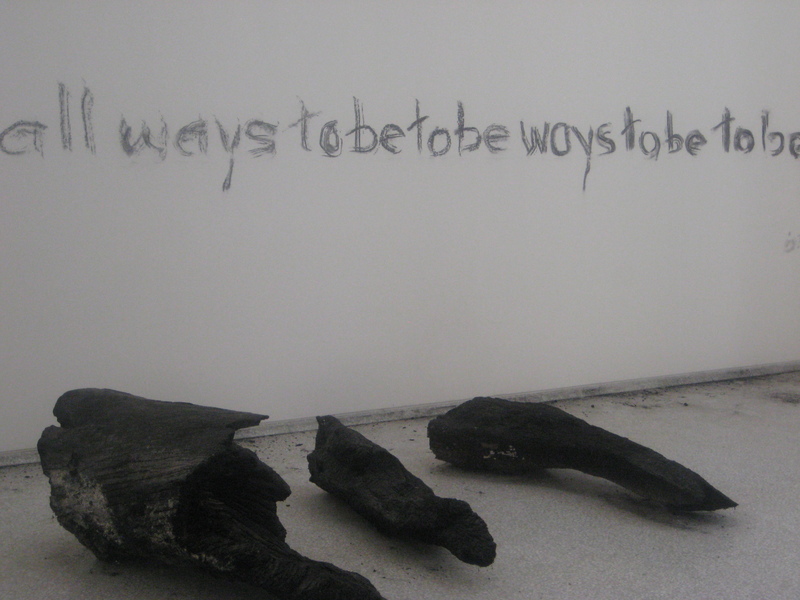 Viewers are invited to express themselves on a blackboard or interact with a series of pieces allowing them to choose from different pre-determined notions of identity. In one piece, the viewer is invited to speak into a microphone to create a computer generated model based on the sound of their voice. Similar to the promises made by advertisers touting the cathartic effect delivered by their product, despite the claim, each image generated is identical regardless of the voice input. 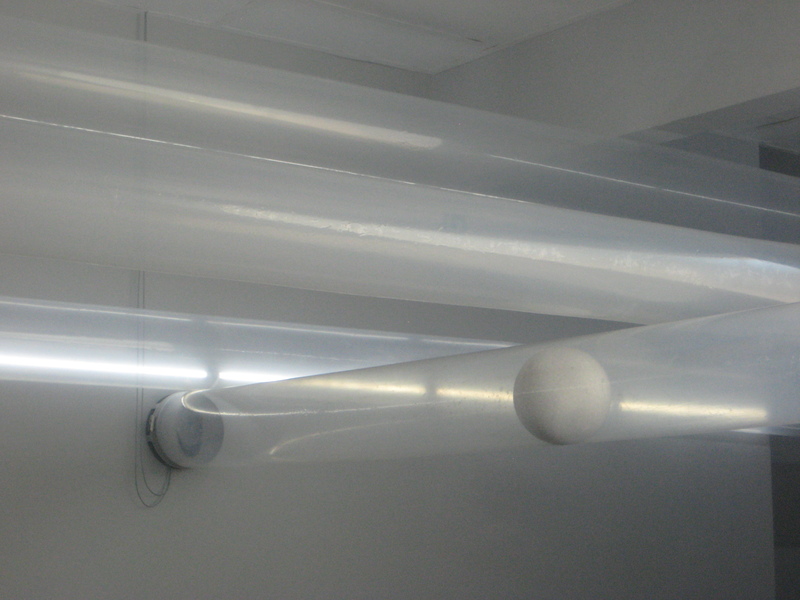 In “Multiple Identities” large white balls are propelled by fans through clear tubes overlapping above viewers heads. In this piece, a kind of “rat-race” conceptual metaphor of individuality is easy to construct. 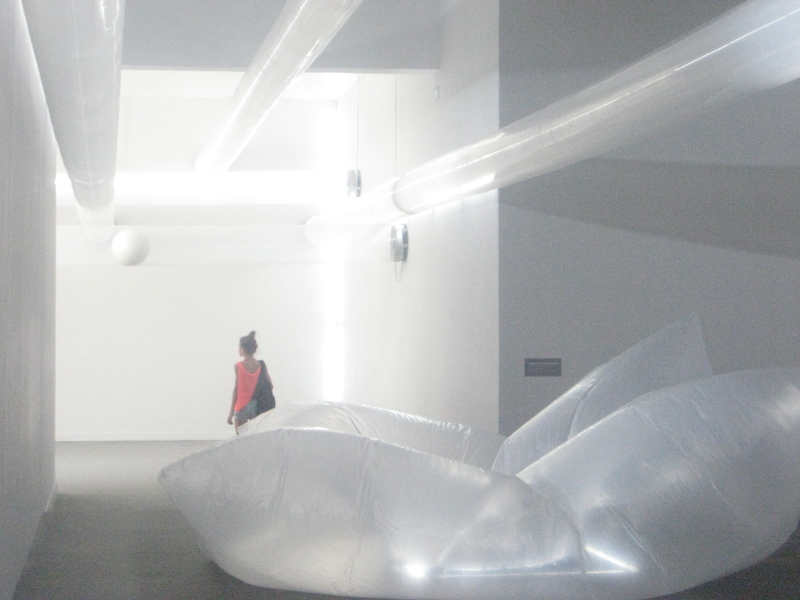 In “Sustainable Identities,” a large transparent foil cushion inflates and deflates continuously. The reduction of some of our culture’s most romanticized ideas on human identity encourages us to contemplate marketing and consumption on an existential or spiritual plane. The testament to national identity is a priceless undercurrent when viewing the works within the Giardini. Another notable building is the Austrian pavilion, designed by the legendary architect Josef Hoffman. 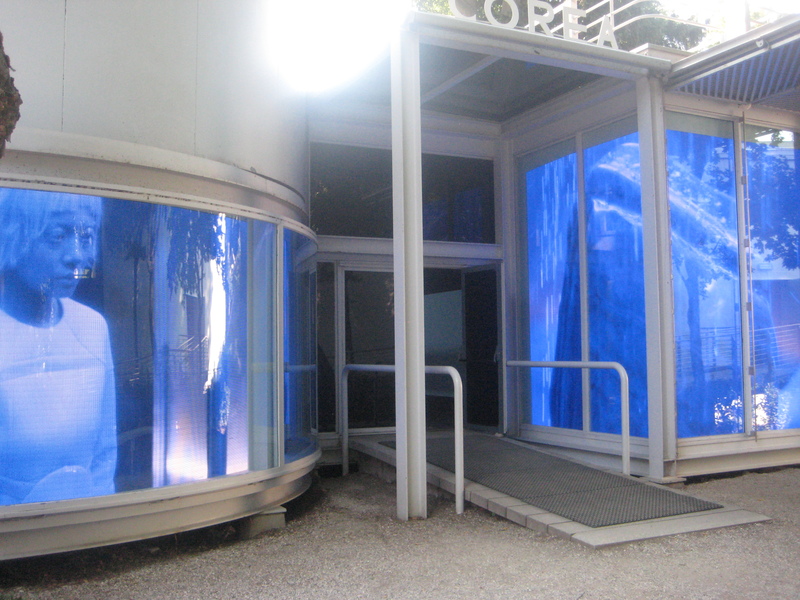 As someone who dedicated a large portion of my first trip to Vienna to insuring that I visited every example of Hoffman’s oeuvre within that city, it is hard for me to describe the specific emotional blend I experienced in response to Heimo Zobernig’s structural intervention of Hoffman’s pavilion. 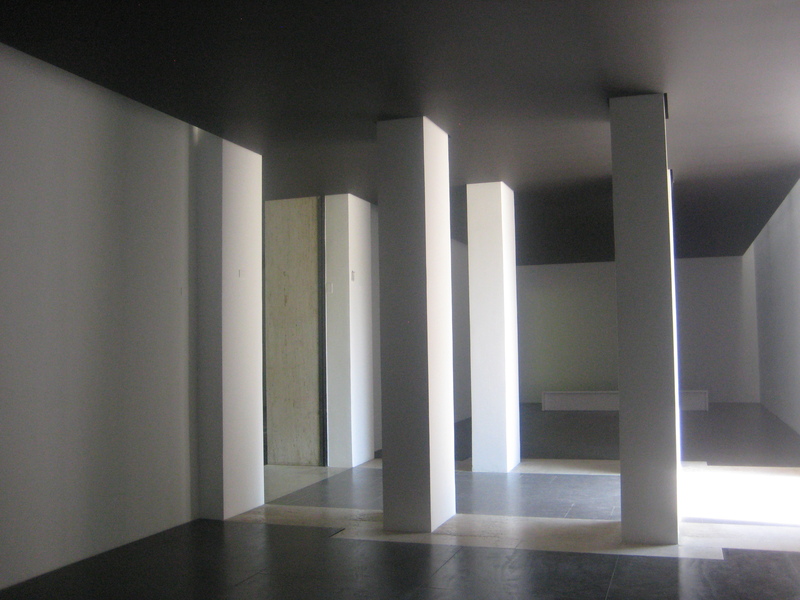 By constructing a black “monolith,” essentially a dropped ceiling, paired with a blackened floor, Zobernig transforms Hoffman’s minimally classic interior arches into a series of square white columns perched in darkness. 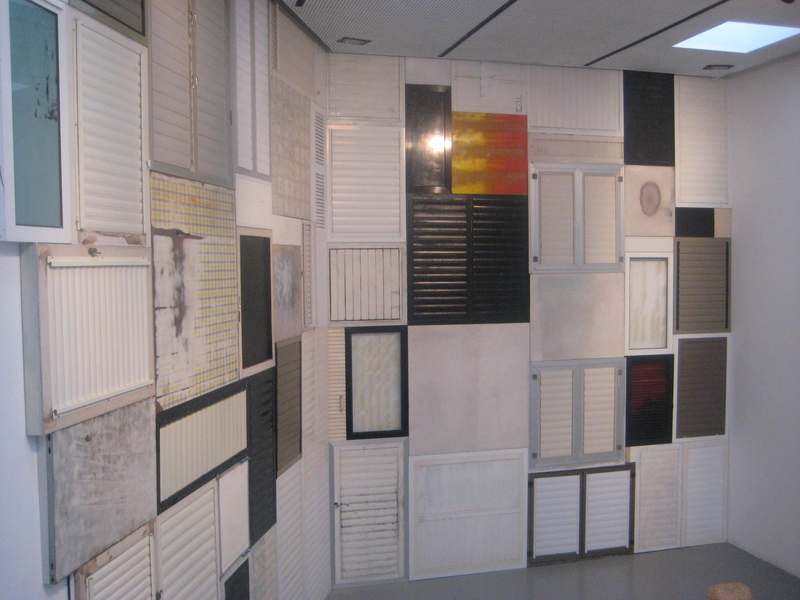 By removing the historical distinguishers of the building, this black visual interference apparently allows one to “linger and reflect on human presence in space.” Until reading the distributed romance however, to a first-visitor of the pavilion, the show has that distinctively transformative property in which the newly born philistine art-viewer says to oneself, “Where’s the art?” As I continue to reflect, I can appreciate the transformative property of this intervention. Rather than pondering on my own presence in space though, I am tempted to think about censorship under communist rule; the periodically frustrating absurdity of conceptual art; or the metamorphic possibilities offered by home-renovation. At the time however, I’ll admit that I was simply angered that I was unable to see Hoffman’s structure in its unadulterated form. Last week, inspired by my friend, artist, educator and curator, Pamila Matharu, who visited the Biennale two years ago to celebrate a land-mark birthday, I decided to take the same trip- in celebration of the same landmark. 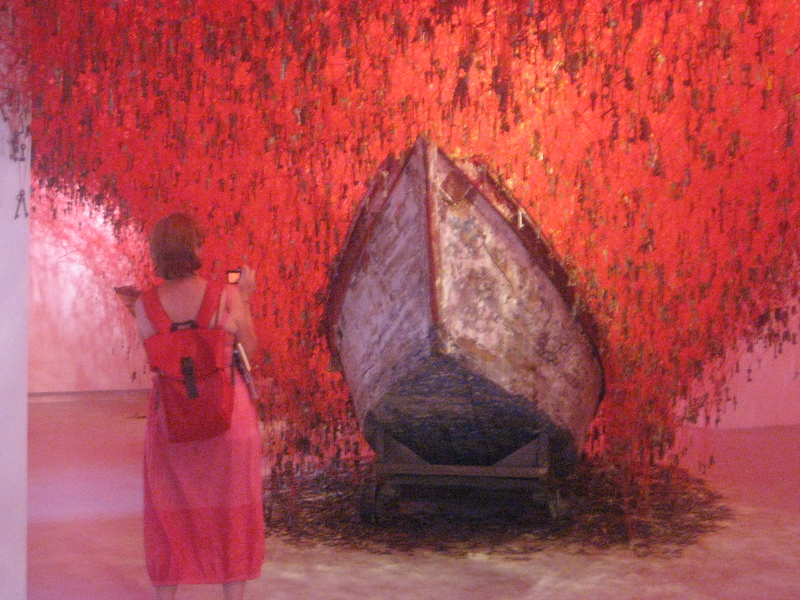 Along with my friend, artist and crafter, Nell Casson, I took a few (sometimes heart-wrenching) days away from my three-year-old daughter to blitz the Biennale. Stay tuned for the next few days so that I can share with you my experience of this unforgettable show. 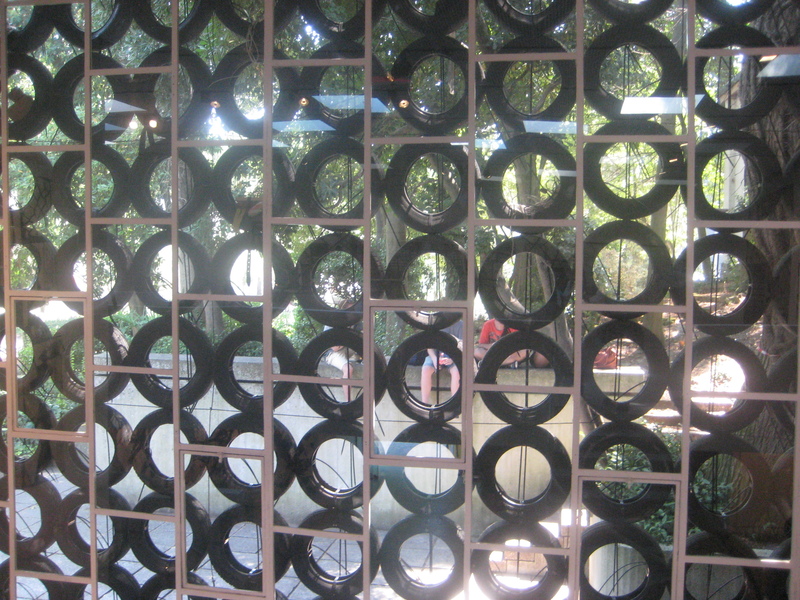 Header Image: Detail of the Finnish Pavilion, Designed by architect Alvar Aalto in 1956.